I have always kept a blanket in my trunk. I think that it’s something that my father told me to do years ago in case of emergencies although I’ve never had to use it for an emergency. 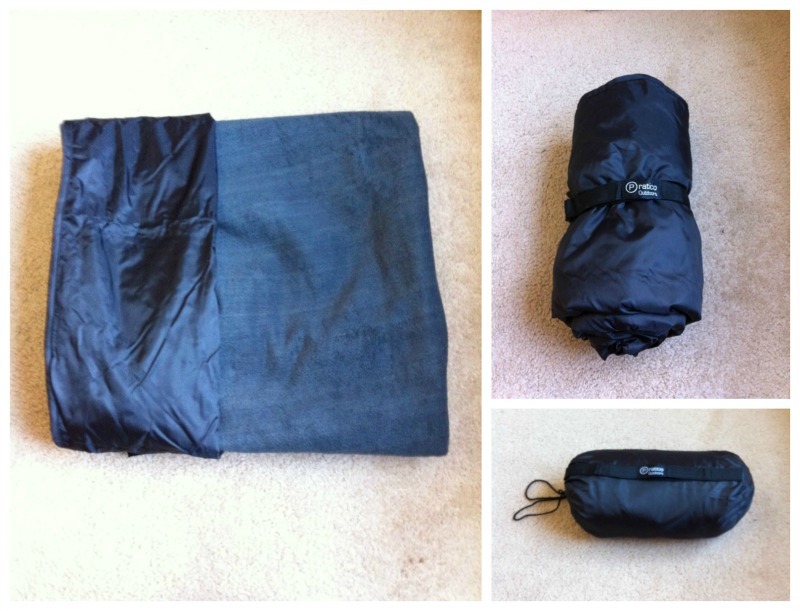 This outdoor blanket by PraticoOutdoors was very well thought through in design and puts the plain old blanket that I currently have in my car to shame. It comes in a portable bag with a handle. Inside, the bag the blanket is wrapped with a buckle strap. One side is waterproof, which is perfect for camping or outdoor concerts; the other side is a soft fleece. The blanket is really warm and comfortable. Love this and can’t wait to use it this summer! While I think that the “small” Outdoor Blnket by Pratico Outdoors is far from small, the brand also sells a large size that measures 58 x 84 inches. The Small Outdoor Grey Blanket by Pratico Outdoors lists for $69.99 and is currently on sale for $59.99 on Amazon.